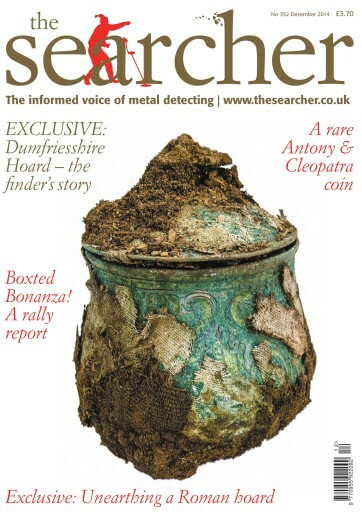 In this issue we have the EXCLUSIVE finders story about the huge Viking hoard unearthed in Scotland which made the headlines around the world. Plus we have an exclusive of the Roman hoard, still in its vessel, discovered in Yorkshire. There is also a report from a very productive and fantastically run rally in Boxted where several items of Treasure were found. Brett Hammond helps locate the route of the Great Heathen Army and we have details of a very rare coin of Antony and Cleopatra. Plus of course much much more!